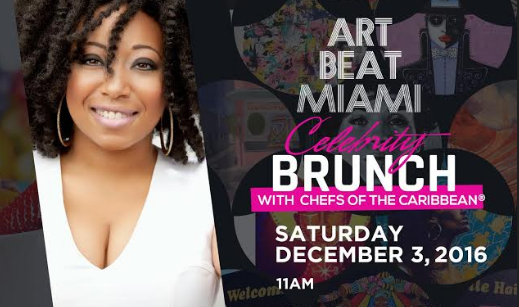 Art Beat Miami hosts an annual brunch celebrating art in Little Haiti during Art Basel Weekend. 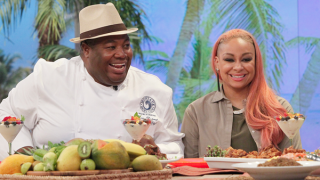 The 2016 brunch was hosted by our very own Chefs of the Caribbean, featuring a few of our chefs: Chef Creole, Chef Ron, Chef Michelle & Chef Dominique. 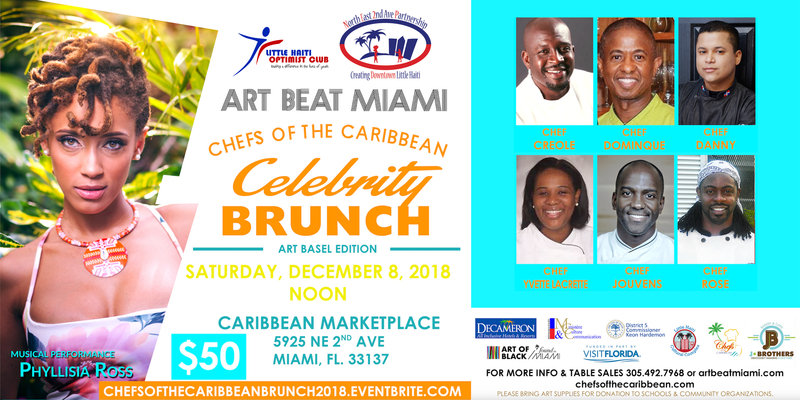 Items on the menu were: Griot (Double Crispy Mangalista with Pikliz Cocoa Bean Dust), Bulgar (Sauteed wheat extra virgin olive oil, scotch bonnet peppers, charred green peas & Roasted Djon-Djon Marcona Almonds, Sauce Pois Noir (Liquid Black Beans), Chaka (Roasted Corn, Coconut Goat Head Water & Provisions), Curry Chicken and Parsley White Rice and a delectable Rum Cake, Coconut Grits with Spicy Creole Sauce and a few vegetarian options like Waffles with Fruit and Quiche. There were a variety flavors of Cremas, which was an instant hit. 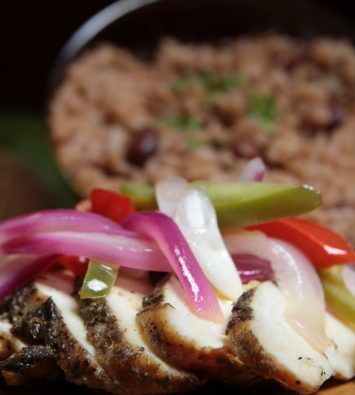 There wasn’t a empty belly by the time the brunch was over. 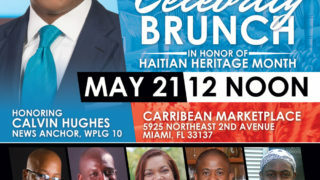 Look out for a May Brunch for Haitian Heritage Month, and pencil us in for December 2017 as it gets better every year!